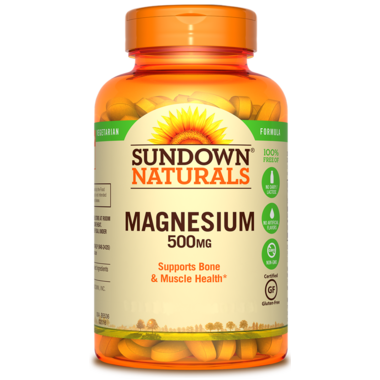 Sundown Naturals Magnesium is a great way to get your recommended daily intake of this bone-healthy mineral. One Tablet delivers the Magnesium you need for bone mineralization, which is essential for their hardness and strength. Magnesium also contributes to muscle and nerve health. Dosage: Adults take one (1) tablets daily. I have tried other magnesium supplements but keep coming back to this one. Delivery was very fast.